The new @PINGTour G700 is a big iron done right. Should you find yourself in the market for an iron that’s short on mythology but plenty long on distance, forgiveness, and other desirable things, I’ve got a good one for you – even if you’ve heard portions of the story before. 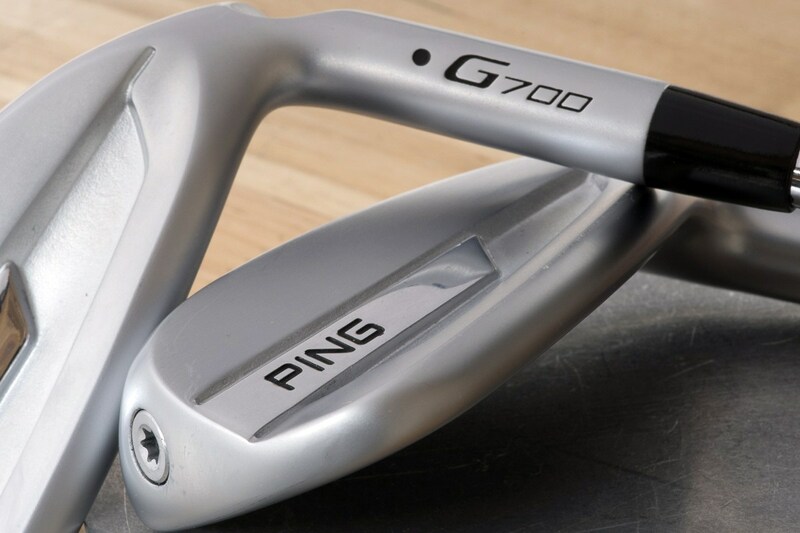 Much of what I’m going to tell you about the PING G700 iron will sound familiar. It’s a large, hollow-body iron not unlike the Titleist T-MB, the Mizuno Fli-Hi, or PING’s own not-a-driving-iron Crossover. In fact, the G700 design borrows from the Crossover, with plenty of added tweaks to make it a bit more playable as a full set alternative to the G400, GMax, and for some golfers, perhaps even the i200. That last one doesn’t come from PING, it’s just me thinking out loud. The i200 is my practical favorite (I love the iBlade too) among the current PING iron offerings, but even with my iron snob tendencies, I might give the G700 some consideration. The point is that while the footprint and performance characteristics of the G700 put it squarely in what you can call the recreational space (other than a long iron here or there, it’s not going to get much play on Tour), I’m hesitant to brand it game-improvement, let alone super game-improvement. It’s most definitely a distance iron, but even within that loosely defined category, the G700 doesn’t fit perfectly. It’s a big iron, and believe me when I say it’s a long iron, but the aesthetics are unusually clean, which should broaden its appeal beyond any rigid category definition. PING seems to expect as much. The calendar says a GMax replacement is due, but PING is taking a wait and see approach. GMax is sticking around for now, and that’s because while there’s always some overlap in any lineup, the typical GMax guy isn’t necessarily a G700 guy, and there will definitely be G700 guys who aren’t GMax guys. Again, that last one is me thinking out loud. 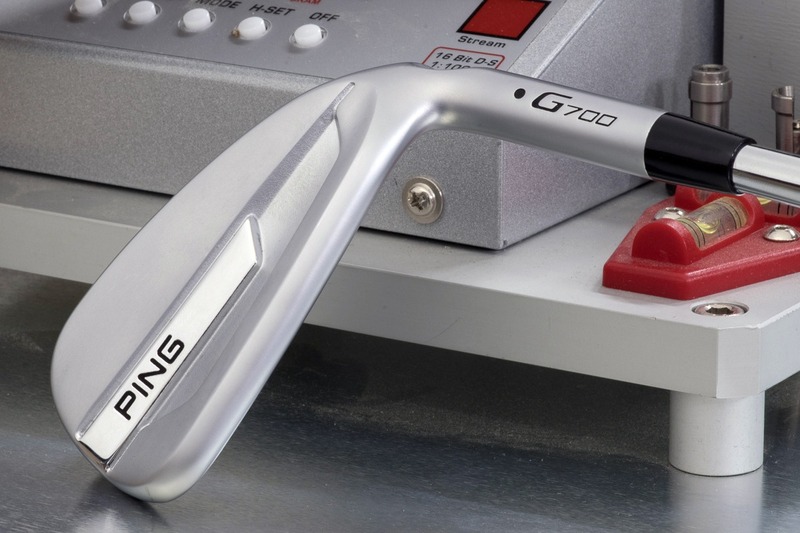 As I said, the G700 is a hollow body design – the first of its kind for a full set offering from PING. It brings with it the requisite story for a distance iron. The extra oomph comes via an unsupported variable thickness maraging steel face which flexes significantly more than anything else in the PING iron lineup. That gets you faster ball speeds across more of the face, and coupled with the deep body design, higher launch as well. Compared to GMax, not only does G700’s higher COR provide more ball speed, it retains significantly more of that speed over a greater portion of the face. Along with more distance, the G700 gives you higher launch and a bit less spin. The former should help mitigate the latter, which means stopping power shouldn’t suffer much, if at all. Along with the speed enhancement, and true to what we’d expect from the company, PING is claiming G700 creates a 48% tighter stat area (what we call shot area) than GMax. If you have trouble visualizing an ellipse that’s 48% smaller than another, all you need to know is that G700 gets consistent distance and ultimately more shots on the green and away from trouble. While geometry deserves a good bit of the credit for G700’s high MOI, a pair of weights – one in the tip/hosel portion of the club, the other a toe-based weight screw that allows for swing weight adjustment – push additional mass towards the perimeter of the iron. To reiterate, these are hollow body irons. Should you be inclined to unscrew the weight port, you won’t find TPE, SpeedFoam or any other sort of gel filling. You’re free to inject your own recipe and see what happens, but we certainly wouldn’t advise it. As is the case with the rest of the PING iron lineup, the G700 features PING’s low glare, moisture repelling Hydropearl finish, which in addition to reducing the effect of flier lies, helps the club glide a bit more smoothly through the turf. Looking beyond face technology and weighting, a good bit of G700’s forgiveness comes from its size, and that’s really where the design shines. You may notice that the G700 is on the long-ish side from heel to toe, and it’s an appreciably tall iron too. While that sounds like the recipe for the type of shovel iron our readers love to complain about, PING has done a remarkable job of making its big iron appear unobtrusive. The G700’s offset is nearly identical to the G400’s (less than GMax), and the smooth blending in the hosel transition area minimizes how that offset presents to the golfer. With the exception of the 4-iron, the soles on the G700 are actually slightly narrower than the G400 and significantly narrower than the GMax. The real difference maker here, I believe, is the topline, where PING has done some subtle rounding and beveling that makes it appear narrower than what the category often calls for. It’s a fine line, I suppose, but the totality of the efforts leads to an iron that is big enough to instill confidence but doesn’t look overly bulky at address. 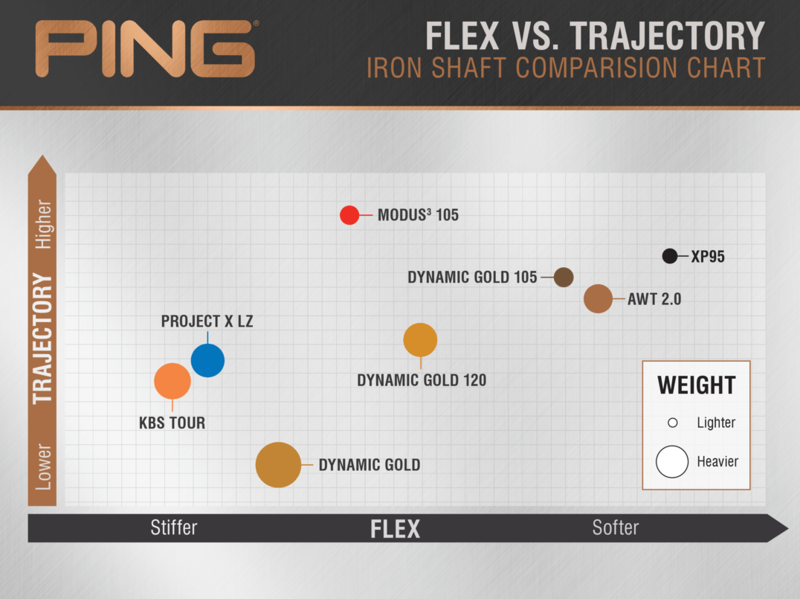 Both companies may loathe the comparison, but it’s a bit like PXG’s 0811XF in that respect. The G700 is a big iron done right. Apart from a sliver of polished steel and black paintfill, PING is leaving the cosmetics well enough alone, and because of that, the new iron doesn’t look the least bit out of place next to the i200 or even the iBlade. It’s a small thing, but there’s cross-category continuity here that’s sometimes lacking in other lineups. In my estimation, the G700 is, for PING, a ground-breaker of sorts. Looking back on our testing, it’s reasonable to say that PING, for all of its focus on forgiveness, accuracy, and tighter dispersion, hasn’t always kept up in the distance category. And while I’d be right there with many of you in saying that iron distance is often overrated, I’ll cop to being more than a little drawn in by the prospect of a 180 yard 7-iron (165 is my usual number). Truth be told, I’d probably bend them a little weak and split the difference, but the point is I’m confident that the G700 is going to be able to hold its own against anything else on the market – and it will do it without compromising the consistency that PING prides itself on. It can be hard to predict the market, but I think the G700 is going to surprise a lot of people. 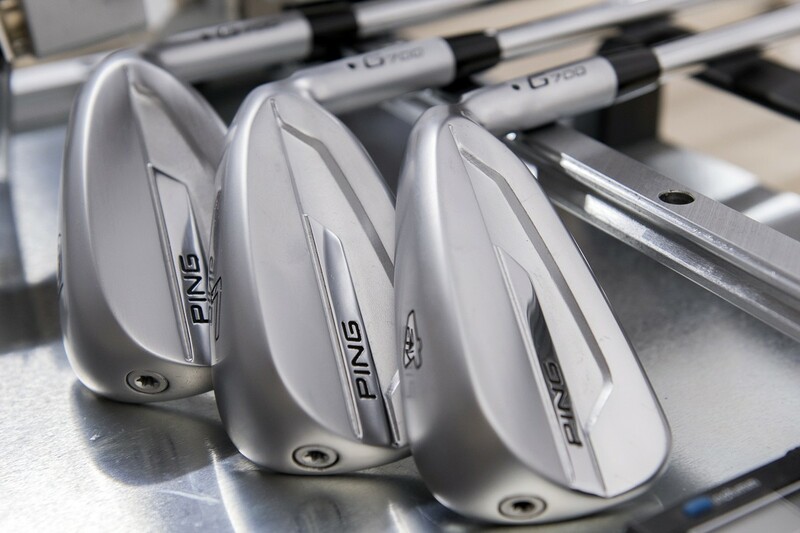 As with its other irons, PING will offer a Power Spec in the G700. 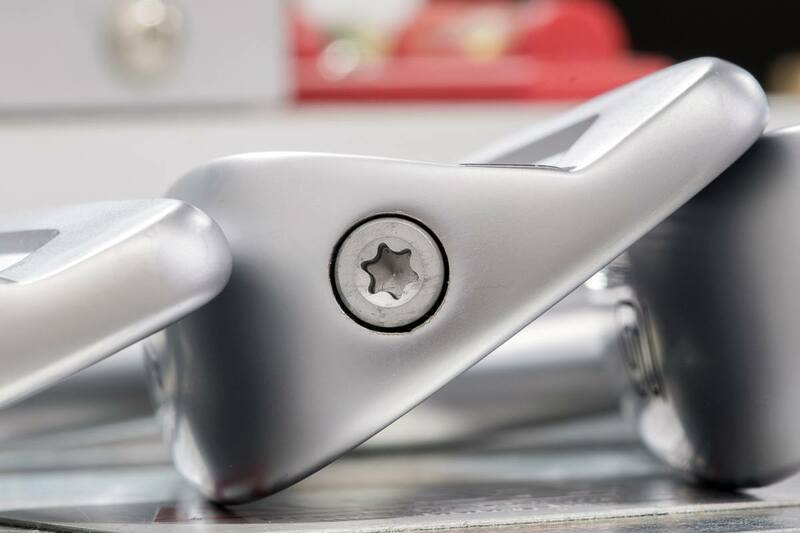 PowerSpec lofts are 1.5° stronger in the 4-7 irons, and 2° stronger in the 8-SW. While it’s not for everyone, Power Spec offers a fitting option for those looking for even more distance, or for golfers looking for a specific trajectory profile. 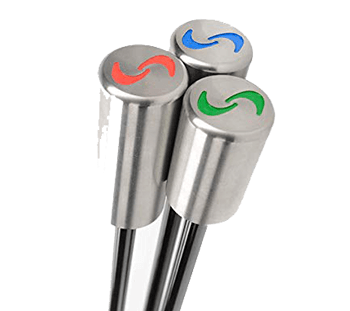 The stock shaft offerings are PING’s AWT 2.0 (steel) and ALTA CB (graphite), however, several popular options are also available. MSRP for the G700 Irons is $160 per iron with steel and $175 per iron with graphite. Pre-orders begin immediately, with retail availability following in mid-March. 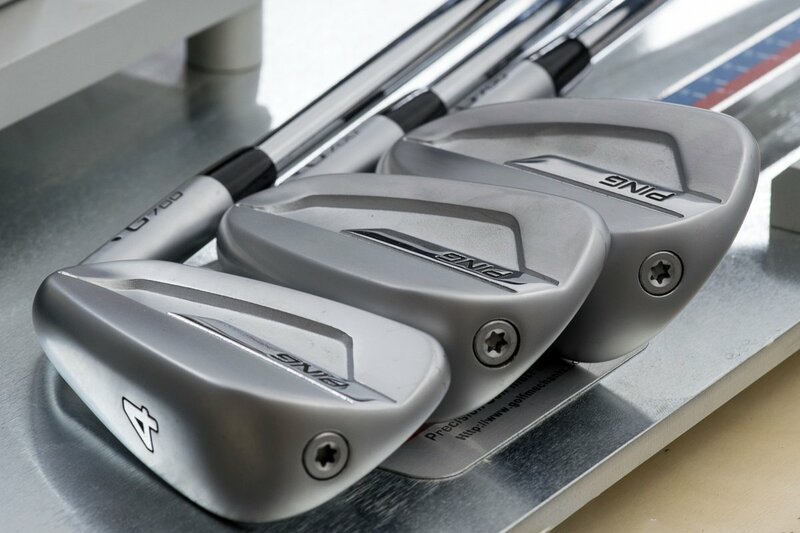 To see more photos of the PING G700 irons, check out the Gratuitous Picture Thread in the MyGolfSpy Forum. I would very much appreciate the opportunity to try ,test and keep the PingG700s I am currently playin with taylomede irons .i hit my 7iron approximately 1 yards. I acknowledge the responsibility I am undertaking to give a fair a accurate analysis of the equipment as supplied by ping for testing.i am currently recovering from a critical illness and returning to golf competition. I’m hoping the ping G700s will give me the opportunity to do so. Regards Kierany. I love the game and have been playing it for some 60 years now. I have no alliegence to any brand and would love to objectively test and evaluate the G700 and provide my feedback in the interest of all of my fellow golfers everywhere. I’ve been playing the g700’s for a month. It’s taken that long for me grow into them—to get the distances and feel right. I’m hooked. You’re dealing with a 78 yr. who started with Karstan 1’s, Ping eye2, 2+, g2s, and g15s. I’ve naturally lost distance and swing speed. These fill in the gaps I’ve lost. At first, I was hesitant about the feel and the distinctive sound, but gradually I have come to appreciate the distinctive feedback. To say they are “forgiving “ understates how they feel when hitting them on the screws, but I have concluded after a month, though different than previous generations, they are a welcome game changer for this senior golfer. But one does need to grow into them. I’ve been in the cage hitting the G700 twice now getting fitted. Currently play the I10’s, 7 iron goes 135 carry. G700 7 iron goes 155 carry. All the numbers across the board much better. Planning on ordering 5-gap and get the glide sw. I’m 63 years old with a 8.7 handicap and want to get it down, ego is a dangerous thing. Ping is the brand but this G700 is a game changer for sure. Wow, 20 yards! Were you using the jacked version or standard? I’m nowhere near your HC but I really like the look of these G700 irons. I might just replace my trusty old G15’s this year. I’m assuming the forgiveness level of the G700 will help you lower the HC over I10’s? Is it a noticeable difference for you? Very keen to try a set where can I get my hands on them in Newcastle Australia? OK, I really like Ping stuff. I think they spend the time to do real engineering and analysis to design their products. That said their online fitting tool is not very good. Put in my specs and it said I should look at playing i200’s. Then all I did was revise my handicap(upward) everything else the same and it said G400’s. Then I went back to my original handicap and reduced my 7 iron distance by 15 yards. Still said i200. Looks like the tool is based around handicap which makes it almost useless. I know that D Johnson playing 31 degree loft 6 irons, and most if not all tour pros play 6 irons that have weaker lofts. I expect this is because they create higher dynamic lofts with lower static lofts. But would love to hear from you on this. The new Pings have sand wedges either 52 degrees or 54 degrees. From the standpoint of shooting lower scores, what are your comments on these stronger lofts. Also can you comment some on the loft gapping of these irons – do you know if they will produce consistent distance gaps? One more finally! Why would average golfers not be better off – in terms of scoring overall – by playing with clubs with traditional lofts, say 6 irons at 30 degrees – and more traditional loft gapping throughout their sets? I know that D Johnson playing 31 degree loft 6 irons, and most if not all tour pros play 6 irons that have weaker lofts. I expect this is because they create LOWER dynamic lofts with HIGHER static lofts? But would love to hear from you on this. I will not buy another Ping product until some explains to me their naming convention. G10, 20, 30, G, G400, G700, G9000, G25000… I need answers. Taylormade M3 = They love BMW’s. I was thinking of all these things, but could not articulate my thoughts so eloquently…. These look great, but the lofts are really strong. The site banged on the JGR hybrid irons, but these are just as strong (if not stronger here or there) and don’t seem to offer as much help. They almost look like clubs aimed at higher swing speed amateurs. Some are comparing them to the Crossovers. I have never hit those that well, so I doubt the 700s are a good fit for me. Let’s put this dawg to the test! WOW! those are gorgeous. 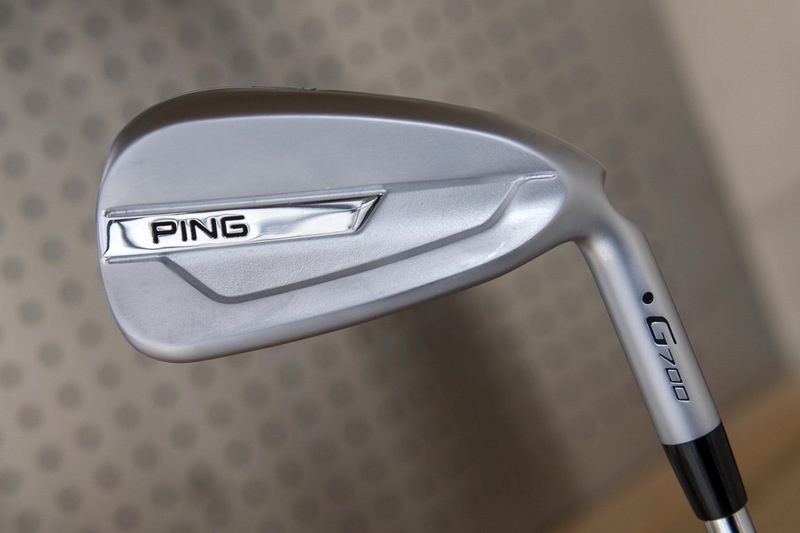 Ping has always made quality performing irons that do not get the fanfare they deserve. I think mostly because they are not forged and are a bit lacking on the visual appeal. However, the last three sets are as gorgeous, if not more so, than anything on the market. I hated the GMAX and G400 look but the I blade, the I 200, and now the G 400 are simply gorgeous. I do not think I will go hit them as I just paid for my i200’s and don’t want to kick myself for it. Great article and simply well done PING!!!!!! Started with Zing 2’s three different Ping sets later (G30 current) may have to try these….the Zing 2’s still get pulled out for short and tight courses as nothing has been as straight , even had a few other brands,. And you are never getting the Zing 2 two iron out of my bag. OK another one here for whom Ping has finally piqued interest in their irons. Tested the G and G-Max (I’m solidly a GI/SGI player) in the past .. and passed. 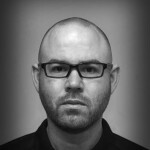 Back when the G irons came out, I read an article by a mini tour player going from blades to the game improvement in tournament play. He mentioned the increase in greens hit because of the hated pull. I decided to give it a try. It worked! I was able to drop my Handicap from around 9 to 6. The posted comment about point and shoot is true. I now have the G400’s I purchased just last year of course. I got the Power spec lofts to flight the trajectory down with the ball I use, ProV 1. I’m OK with people snickering at me for playing game improvement irons. It makes it more fun when we total up the scores after. Isn’t the idea to make golf fun? Full disclosure, I have played Ping irons since the i5 irons came out all the way to i25’s. Now I need to look at the G700, Nuts! I’m 57 and play about 90-100 rounds a year. Be interesting to see if people crucify ping for the strong lofts as they would if it said taylormade on the back. While the back of the club has little to nothing to do with how a shot is struck that is bland looking club! Cost is close to TM P790. How would the new G700 compare (handicap wise) with the TM P790? Dang, Ping does it again; no flash, no glitter, no screaming; rock steady dependable. I’m still kicking myself for selling my Ping G driver. At least I kept my Ping Ketsch putter (best ever). Static loft. Dynamic loft. I still game a set of MP-32’s since I haven’t been able to justify the cost of new irons vs hopefully improved performance. While these new Pings look great I totally lost as to what club to pull since the loft on say my 6 iron is 31 but the Ping is 24.5. That’s why I have struggled buying new irons. I know my distances with each club, so why get something that now brings doubt to my decision. Time to trade in the old Ping G15 irons! I’ve enjoyed every game with them but this new, clean and streamlined look has me anxious to try. I’ve become tired of gaudy cavity backs that seem to be getting more ridiculous at every launch. Even Pings have been either bland or same old, same old lately. This new G700 looks to be a breakthrough! Can’t wait to swing it. These look awesome. Clean and uncluttered. The other OEMs should take a lesson; there is no need for SGI irons to look like brightly colored clown shovels. I am sick of orange and green especially. Good work, Ping. Looks like I’m getting another set of irons… Oh-h-h-h boy. Can we expect a G100 (following incrementals of 300) to be the substitute for the iblade? These look nice but that screw kills the vibe for me. This is awesome. That looks just like the Taylormade P790’s. So in 2018, Taylormade will sue Ping, who will countersue TM, who is countersuing PxG, for suing TaylorMade in the first place. Once Ping sues PxG, it will close an amazing legal circle of serving people over essentially the same club. Came here to say exactly this. Was not disappointed. Release date? And when will they be in stores to demo? Available for pre-order today. Retail availability begins mid-March. The only problem with having read this piece, is now I’m going to have to wait 8 days to see them at the PGA Show Demo Day. I expect quite a crowd waiting to give them a try, I have a feeling they’ll be worth the wait. 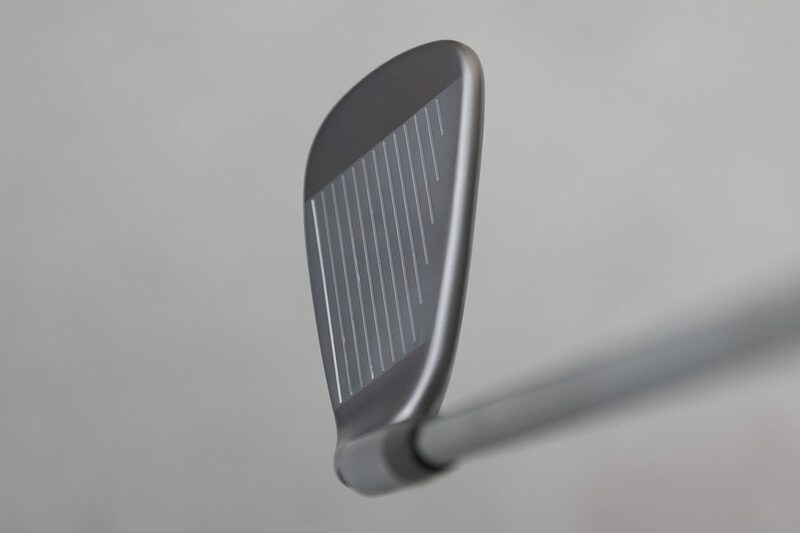 Really impressive how they have made a nice looking iron with the forgiveness one might expect from a G400 line, I know Tony didn’t that exactly, but it seems to be closer to that in forgiveness than the I200 from what I read. 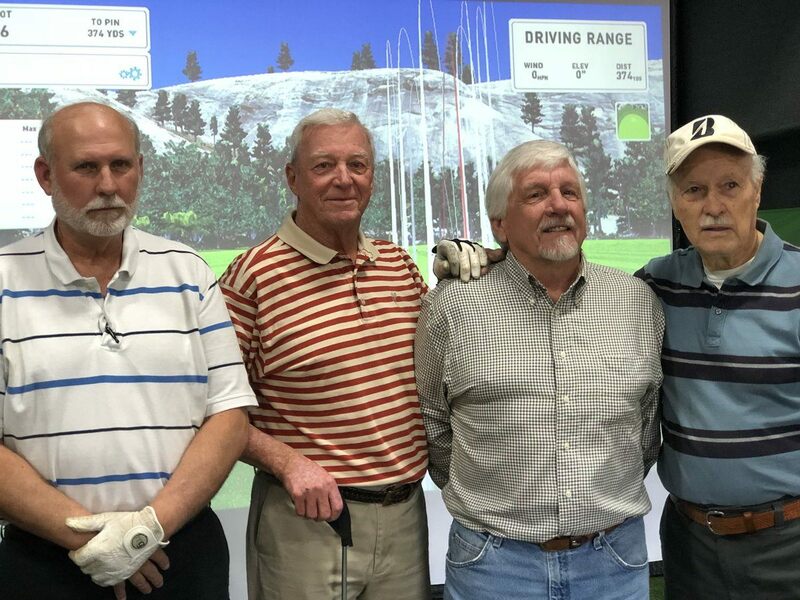 If those old guys in the picture like them, maybe with the right shaft the G700 irons could be doable for a good portion of the senior population. I like the clean lines and large heads as it could be a confidence builder. Comments like these do a tremendous disservice to golfers. Static loft is, at best, a starting point. The numbers that actually matter is dynamic loft, launch angle, and peak height. Go back and look at the quick 7-iron test I did several months ago. The strongest lofted iron produced the highest peak trajectory and the steepest descent angle. Basically, the static loft didn’t tell us much of anything about the resulting ball flight. Static loft is one of many factors, none of which paint a complete performance picture. 1st, Thanks Tony for all that you do. 2nd, regarding this comment above, What is your recommendation for doing a mixed set of this for the iblades, like if I wanted to have 4 and 5 iron of this set with the rest of my irons as iblades, bend the 4 and 5 iron weak by 2 deg to get them closer? Thank in advance. I can’t give you anything precise. It would be tricky for sure, and you’d need to spend some time gapping. With iBlade, I’d guess at least 2 degrees weak. You may need to Power Spec the iBlades first. Tony – I believe you took my “ok” as in a roll my eyes “ok”. Yes, I prefer traditional lofts, but this “ok” happened to be an excited “ok”. Sure the lofts aren’t what I was looking for, but I was just happy to see a 18.5° iron. Yep, loft doesn’t mean what it used to. Was hitting my 10 year old 7 iron 135 yard carry. Hit my new 7 iron 150. Almost 4 degrees stronger. However, when hitting them in the test bay I hit them 10 yards higher and almost the same spin. Crazy, if you don’t believe in physics but since I do it all makes sense. I like the idea of a higher launching iron but by strengthening the lofts, I don’t see the benefit with low speed golfers. Sure, a high speed player picks up ball speed and all is well but a low speed player doesn’t seem to get the height which is more important to them than ball speed. The extra speed is no good if it still launches low. Its like hitting a 7* driver… better ball speed and a shorter tee shot. In iron sets its even more important. If a low speed player can’t toss the ball in the air, nothing holds a green. Low speed players highest priorities with irons is often more height / decent and higher spin…. both of which are lost in the new breed of irons. Happily, I hear Ping will also has a “Retro Spec” which is 2* weaker than standard just like the “Power Spec is basically 2* stronger than standard. Weaker lofts also mean the look of less offset and a bit higher bounce… which is nice. Tony will you please, when you have time, send the link to the 7 iron test you mentioned? Thanks.